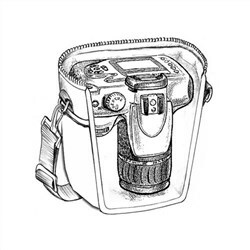 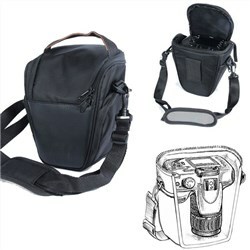 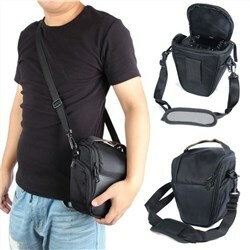 Deluxe Camera Bag For Digital SLR with Attached Lens. 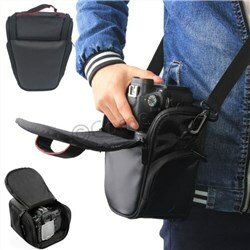 Fits large DSLR up to 150mm back width with attached lens up to 130mm long. 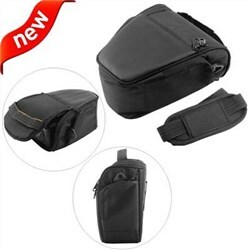 * short term splash protection, not full waterproofing.